Emmy’s best friend, Kim, has congenital heart disease. It is unlikely Kim will live a long life. Emmy is the only student at school that knows of Kim’s health problem because outwardly, Kim is so vibrant and full of life. Kim becomes obsessed with the afterlife and drags Emmy to a speaker promoting talking with the dead. Kim is sure that she will visit Emmy after her death so they plan to meet up at important places on significant dates. One day at school, Kim collapses and soon dies. A year later, Emmy is still struggling to come to terms with her grief. The girls have been best friends since they were babies. It is easy to tell in the narrative that Kim was the dominate person in the relationship. Emmy seems like the sidekick so when Kim dies, Emmy is left floundering with no direction. The story moves back and forth with narrative in the present and narrative telling of their past friendship designated by differing fonts. The voice is real. The love in a true friendship is real. The grief is real. The hope for new beginnings is real. This is not tear-jerker sad perhaps because the author moves from one scene to the next providing glimpses to each character in the book. 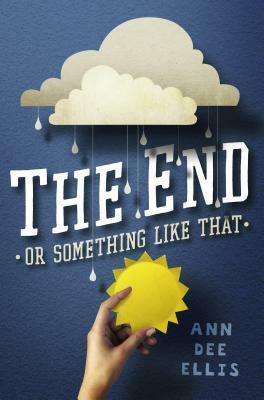 From typical teen brother, Joe, who is dealing with his own guilt of sorts, to Emmy’s well-meaning parents, to the lonely life of Ms. Dead Homeyer, science teacher, each character is beautifully drawn. Neighbor Gabby truly is a caring person and Skeeter becomes Emmy’s new steadfast friend. This quick read is highly recommended. This entry was posted in highly recommend, realistic fiction and tagged death and dying. Bookmark the permalink.